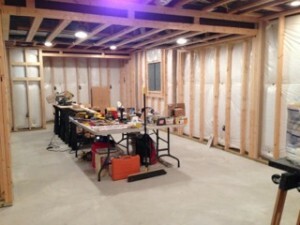 My husband and I spent ours working on our basement. 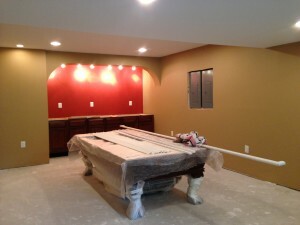 Thank heavens my husband is a very handy guy because we have spent the last several months finishing our basement. It has been a long arduous task involving framing, insulating, dry walling, tiling and painting. After a long weekend of sanding and painting, my back is locked up tighter than Fort Knox and, sadly, I’m only halfway done painting the doors, windows and trim moldings. As I labored away yesterday, it dawned on me how many parallels there are between building something and the writing process. Whether you’re finishing a basement, building a skyscraper or writing a novel it’s always important to start with a strong framework. Without a solid foundation your building or your story will fall apart.